Cute as a button! 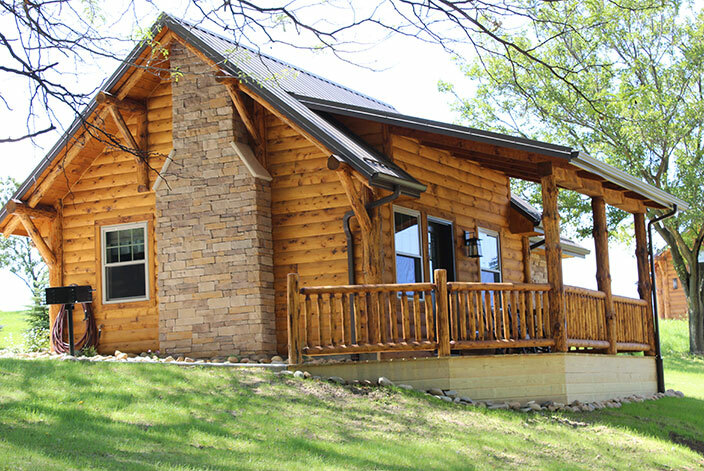 The Dogwood log cabin is a cozy and luxurious Amish crafted Berlin, Ohio cabin rental located at the Coblentz Country Cabins. 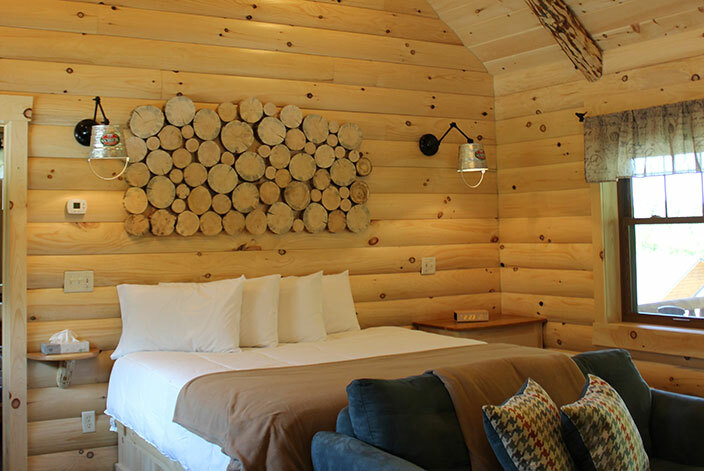 This 420 square foot cabin features a king sized bed, full kitchen with 2 burner cook top, living room with gas fireplace, dining room table, and much more. 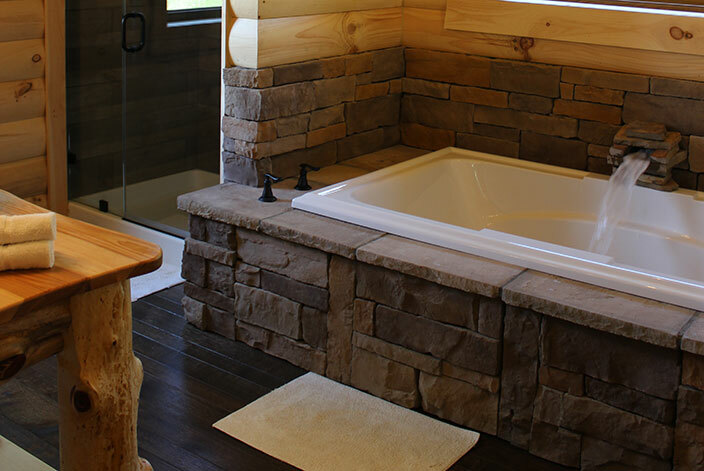 The full bathroom includes a 2 person stone jacuzzi, and walk in tile shower. 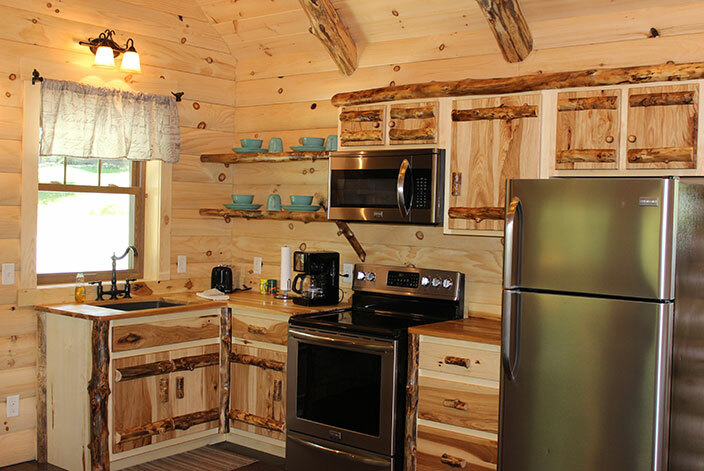 Rustic Amish crafted furniture, charcoal grill, AC/Heat, cable TV with dvd player, and front porch with rocking chairs complete this cabin. Perfect for 2 guests! 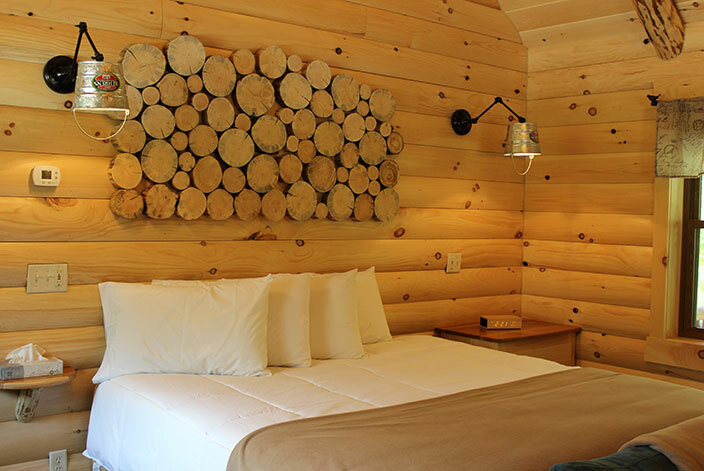 The cottage was spotlessly clean, well-organized and the amenities were great. Even though the cottage was located not far off the main drag in Berlin... the location was quiet and peaceful with little street noise. An absolutely delightful find. We would definitely stay again!